It’s not just the younger generation who are using their smartphone devices 24/7. In the year 2016, all sorts of people are surfing the web. Old, young, rich, poor, age or wealth is no longer a factor; everyone is now using mobile. 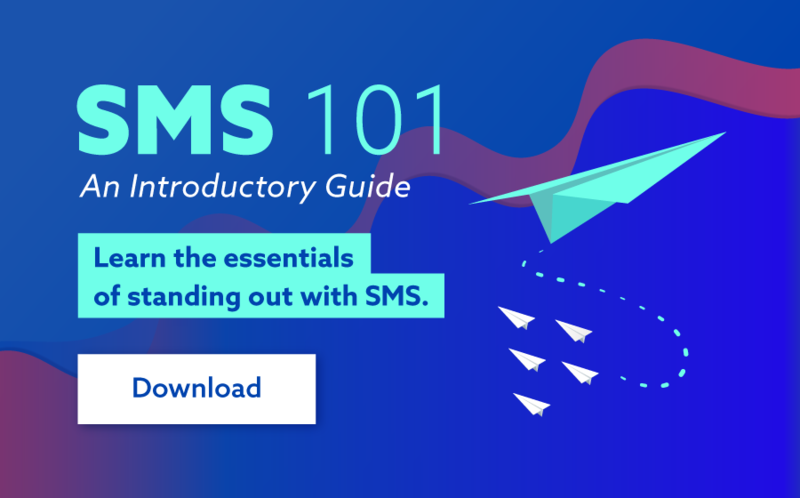 The biggest shock though is in regards to the segment that has been the fastest to adopt to usage. 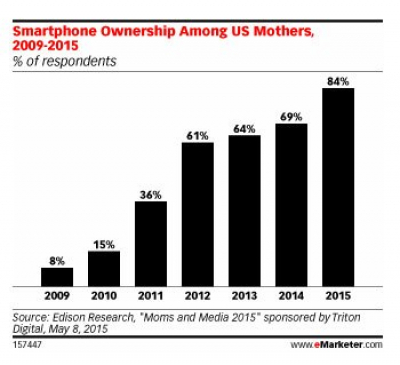 Since 2009, smartphone ownership amongst US mothers (of children under the age of 18) has grown by 85%. That’s right; we are talking about the people among us who usually are the most time poor. Those who have the most on their plates, who spend their time juggling several jobs at once. We are talking about those who are so important to so many, now relying more and more on the ever-expanding digital world to do their menial leg work. When you lay it out like that, it makes sense doesn’t it? Time poor people are turning to the Internet to make their lives easier. What's interesting though is how these mothers are using their smartphones. 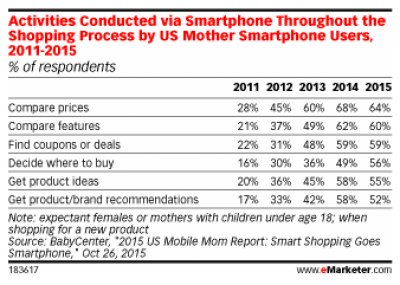 It's understood that one of the biggest growths in smartphone usage amongst mothers is in regards to online shopping. What I mean when I say shopping isn’t just making purchases, I'm talking about the shopping experience as a collective. Throughout the shopping process, what mothers (and the expecting) have been doing more of since 2011 is using their mobiles to figure out which businesses they should spend their money on. 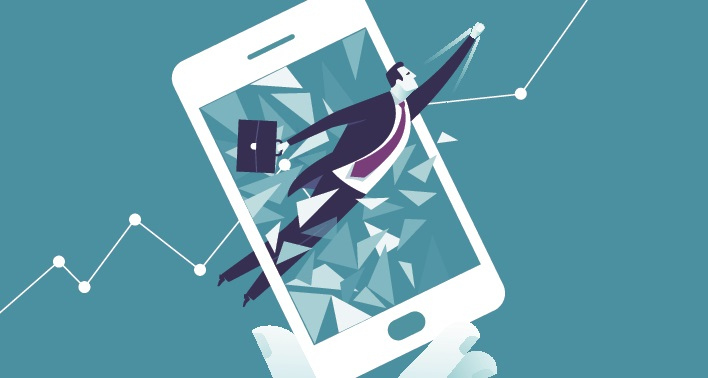 All other aspects of the purchase process happening on the mobile phone have either plateaued or dipped. Deciding where to buy a new product, whatever the sort, is a process that can be done more efficiently online. Being able to browse through businesses not just from your country, but from countries all around the globe, is something that consumers can do easily from the comfort of their own home. So for the ultra time-poor—namely, mothers of children and teenagers and expecting mothers—the ability to eliminate much of the time it takes to carry out an everyday activity is a great outcome. This pattern must be looked at contextually. The biggest reason that these numbers are reflected in this way is because of one single point: smartphone saturation. According to Edison Research, in 2009 only 8% of US mothers responded that they owned a smartphone; in 2015, that number rose to a staggering 84%. What we can infer from this data, and from this particular segment of consumer spending, is that we rely a great deal on mobile to guide us in our decision-making process, and this is something organisations must make note of.